I got the urge to play with paper last night. I pulled out the pieces of my Postcard Perfect cardstock that were left after a big project (which I have not yet shared) and got to work. I was inspired by a layout that I had seen on Pinterest, of course, and decided it would be perfect to use as a pattern for my layout. I already know that I am going to use a picture of our family from a visit two summers ago. I am so not a chronological scrapbooker, and that is ok to admit, right? Scrapbooking should be enjoyable, so I refuse to feel pressure to complete a given year's worth of scrapbooking. The layout began with a base sheet of small polka dotted cardstock. I layered a sheet of that pretty white polka dotted velum, cut at 11 1/2" square. 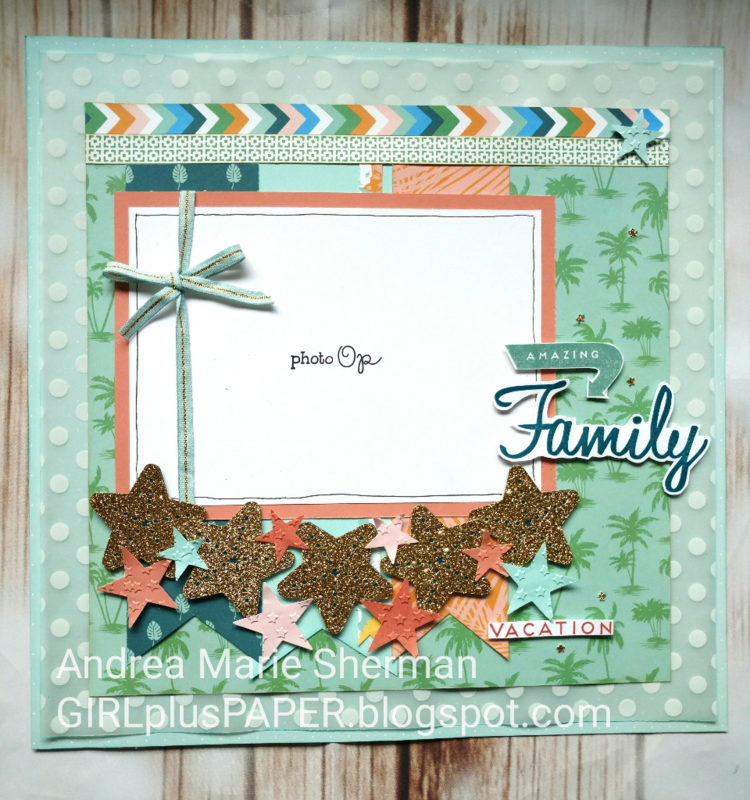 Next up was a 10" square of palm tree cardstock. 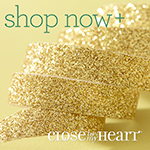 A few banner strips of all different widths and lengths using scraps still in my Postcard Perfect paper pack, some zip strips running horizontally at the top, and a bunch of Starfish cut from a CTMH You Are Here Cricut Cartridge and out of Gold Glitter Paper. Here is a close up of the starfish and star banner. 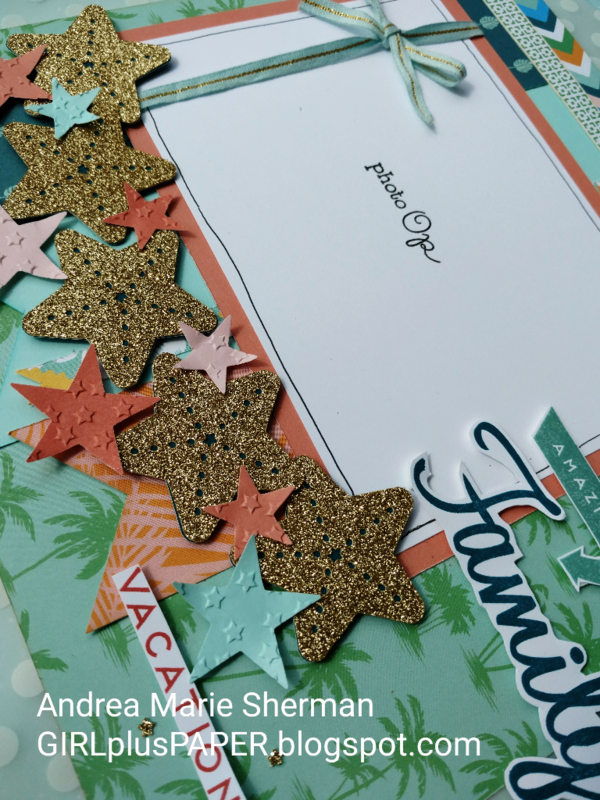 The stars were cut using Thin Cuts - Basic Stars, and I embossed them with a retired CTMH embossing folder for some extra texture and interest. Do you see those little bitty stars? They are the centers of the starfish that were left behind on my Cricut mat! Lastly, the title was actually meant to be one big stamp from the Postcard Perfect Stamp Set. My talented friend Alison Bawdy showed me some multicolored images that she had stamped and I wanted to try my own hand at that. Well, it did not work so well for me! So, I did the unthinkable...I CUT my stamp into three pieces!!! It took a lot of guts to do it, but it allowed me to stamp three different colors in the title. I love the way it turned out. Thanks Alison! Wow!! This is absolutely stunning Andrea! So beautiful! I love everything about it! <3 Sure will miss this paper collection (wish it was still available year round, lol).